There’s no way to sugar coat this. Your team – the organization that you have devoted your emotions, time, money, and heart to – has left you high and dry. Literally deserted you. You are the victims of the oldest and most prevalent of all sins: greed. The man who owns your team decided that there is more money to be made in Los Angeles (Inglewood, to be exact), and he packed up his property before you even had a chance to say goodbye. The temerity of Stan Kroenke to ditch each and every one of you, as if you are nothing but broken toys, has to be gutting you. I can only imagine the sense of betrayal you must feel. I’m sure that you are angry, upset, possibly even vulnerable to the wooings of another team. Times like this seem bleak. 1825.9 miles separate you from the team that chose a profit over your heart and devotion. Heck, even the players you have cheered your hearts out for seem to be excited about the move. I can’t begin to process the emotions that must be rolling in your hearts right now. You must be searching your soul, asking for a sign, anything to point you in the right direction — to a team that won’t ever make you feel so insignificant, so meaningless, so minuscule. Martin Shkreli probably thinks Stan Kroenke is a greedy monster. Well, here I am. This letter is for you. A shining beacon in the dark, forbidding night of NFL fandom. Don’t give up on the game. Don’t become another victim of a multi millionaire’s lust for more multi millions. It is time for you to find another team. A team that is local, accessible, and stable. One that will always be there for you, always accept you, and will never, ever leave you like a dying goldfish circling the toilet bowl. Ladies and gentlemen, former Frams, please allow yourselves to be brought onto the bandwagon of the most storied and respected franchise in the NFL. Welcome to paradise, you are now fans of the Green Bay Packers! The Packers have been in the NFL since 1921. That is 95 years. Never have they wavered. No owner has ever tried to move them for the sake of profit. There is one simple, yet overwhelmingly important reason for this: the community-fans like you-own the team. Never again will you have to worry about the fickle nature of economics having any effect on your team. It’s beautiful. A rock solid organization that will always be there for you, returning the love and admiration you feel for them. An organization that actively seeks your input, who takes your opinions into consideration. This is going to blow your mind. 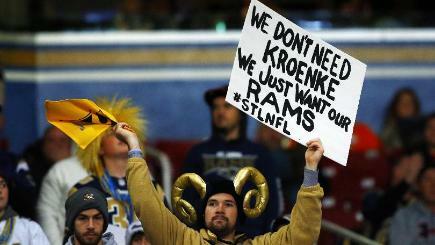 The traitorous Rams have provided the city of St. Louis with 1 Super Bowl win in 21 years of existence. Both of those statistics are disgusting. They should make you want to wretch and writhe on the floor in agony. The venerable and honorable Green Bay Packers have won 13 NFL championships, including 4 Super Bowls, in 95 years of existence. Have they not earned your admiration and undying love? If not, what would it take? Sure, Green Bay doesn’t have any flashy superstars like Nelly that call it home, but notable Packers fans include Lil’ Wayne, Justin Timberlake (maybe), and James Van der Beek. 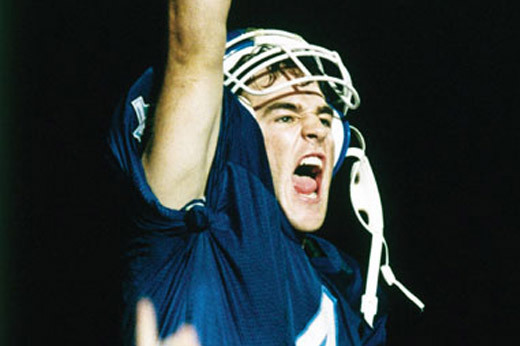 WE HAVE THE BEEK. Get on board, baby. You know you want to. It has been well documented since the mid 1990’s that Inglewood is always up to no good, anyway. There is a decent chance that some of you are fans of players moreso than the actual team. If this is the case for you, hold on to your shorts, cause boy howdy do the Packers have some quality players. Just look at this roster. Go ahead, I’ll give you time. It’s true that the ugly, cold hearted Rams have some decent talent. Todd Gurley should be a perennial Pro Bowl participant. Same with James Laurinaitis. Their talent is out of this world, but there’s another reason they will always play in the Pro Bowl–because they will never play in the Super Bowl the following week. Plus Jeff Fisher is like a coffee creamer: half and half. Seriously, his teams win 8 games a year if they’re lucky. There are many more reasons that the Packers are a better team to devote yourself to than the Rams. Lambeau Field is a venerable football mecca, and institution of grace and history. The Packers don’t have to share it with another team, either. Good luck finding such delicious and nutritious treats to eat in southern California. Do you want to eat a sprout and arugula hand salad while watching football? 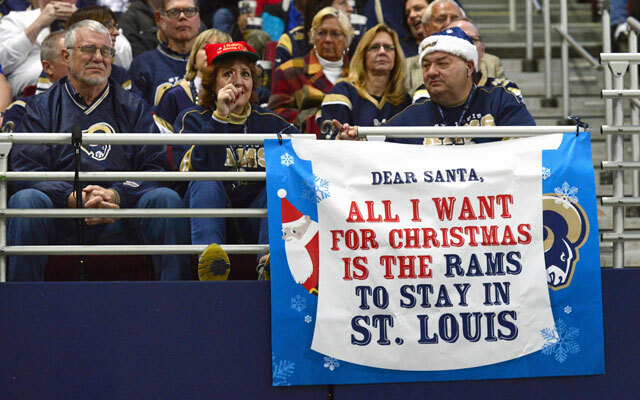 How many Los Angeles Rams games are you going to get to watch on television if you live in the St. Louis area? If you want to see every game, you’re going to have to pay $300 for the NFL Sunday Ticket–and that’s if you already have the correct satellite provider. There’s a chance you are going to have to change who you get your television from, and that’s just inconvenient. The chances of a perennial winning team like Green Bay getting airtime in your neck of the woods are much higher than the nasty Rams. It’s only 491 miles from St. Louis to Green Bay. A paltry 6 and a half hour drive. No other team can offer you such quality and devotion, while being so geographically convenient. The decision is ultimately yours, but how on earth can you turn this down? It’s love, exciting and new. Come aboard, we’re expecting you. The Packers love boat is never at capacity, and we don’t need lifeboats. Welcome to the party cruise. Thanks for climbing on.